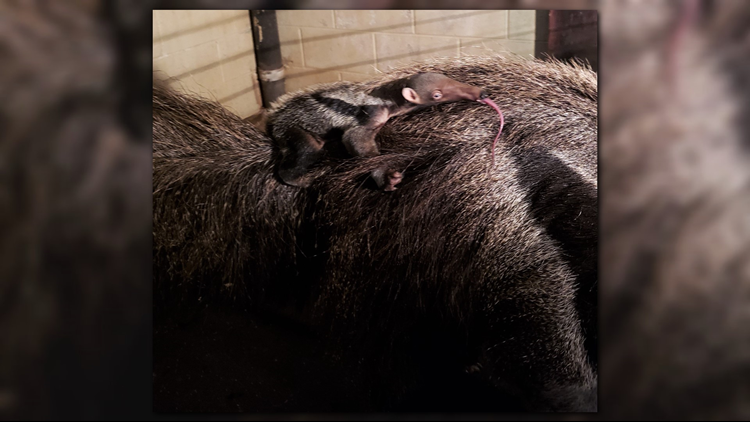 A baby anteater was born at Zoo Boise in January. It will make a debut to the public on March 16 during a "gender reveal party." A baby anteater will make its public debut at Zoo Boise this weekend during a special gender reveal party. Zoo Boise anteater Gloria gave birth to her baby anteater in January, when the pup weighed just over 2 pounds, according to zoo officials. Zoo staff have closely monitored the growth of the baby anteater - Gloria's third offspring. The gender reveal party is set for Saturday, March 16, at 3 p.m., and the anteater mama and pup will be on display March 16 through 23, aligning with spring break for some schools, including the Boise School District. 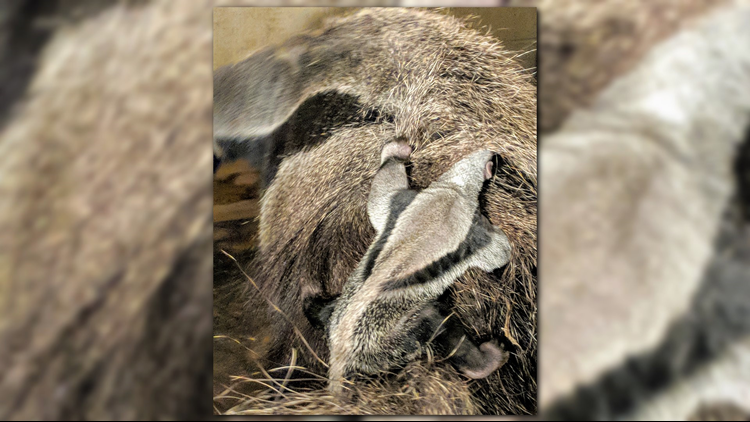 The Zoo Boise anteater, born in January 2019, was 2-weeks old in this photo. The pup will make its debut to the public on Saturday, March 16. The anteaters will be at a temporary exhibit near the zoo carousel. The main anteater exhibit is under construction and is expected to open later this year. Gloria carries her baby on her back -- their stripes match to provide camouflage in the wild. An anteater's gestational period is about 183 days, or six months.